What are you doing this Halloween? 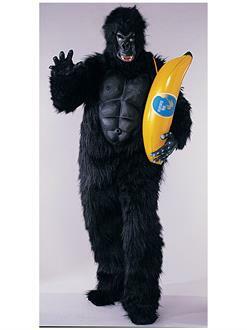 If the answer isn't "going bananas," then you've come to the wrong costume. Birds of a feather may flock together, but this Gorilla with Chest Piece ensemble is a stand out specimen regardless of what the evening entails.